I’ve had a couple people DM me on Instagram asking how I put together an outfit, so I thought that would be a good topic to write about. This is not an advice post. In the spirit of this blog and self-reflection, I’ll outline my approach and evaluate what I do. By no means do I think I have some revolutionary approach, or as yet unheard of insights to share, but it’s my blog and I’ll do what I want. The season and weather forecast sets the overall parameters of an outfit. 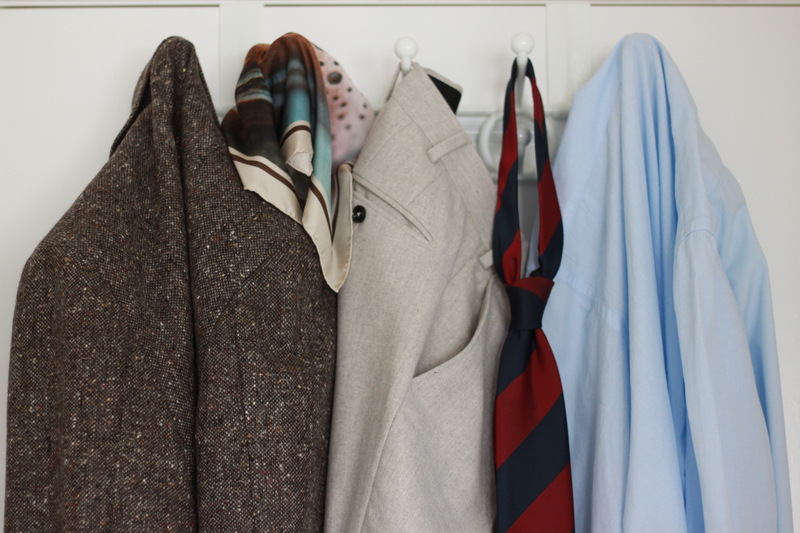 In the winter, my office is quite cold – so flannels, tweeds and maybe a cardigan. In the summer my office is quite warm, thanks to a window that provides lots of heat and sunlight. Seasonal context determined, I start with the selection of the sport coat or suit. At this point, I open up Instagram to have a quick look at the most recent few combos I’ve posted. The first check is to see how recently I wore a jacket. I have a few favourites and I want to make sure I’m not wearing them too often. Now that I’ve narrowed down my options, I’ll make my choice. This is the piece the outfit will be built around. I’ll take another peek at my feed to see the recent combos. I’ll look for colours and textures of the trousers and accessories to assess whether I want to improve a previous combo, or avoid repeating one. Next, I’ll select the trousers (if I didn’t pick a suit) using the same steps outlined above. At this point, I’ll start to formulate an idea of what the overall outfit might be like in terms of contrast and colour tone. 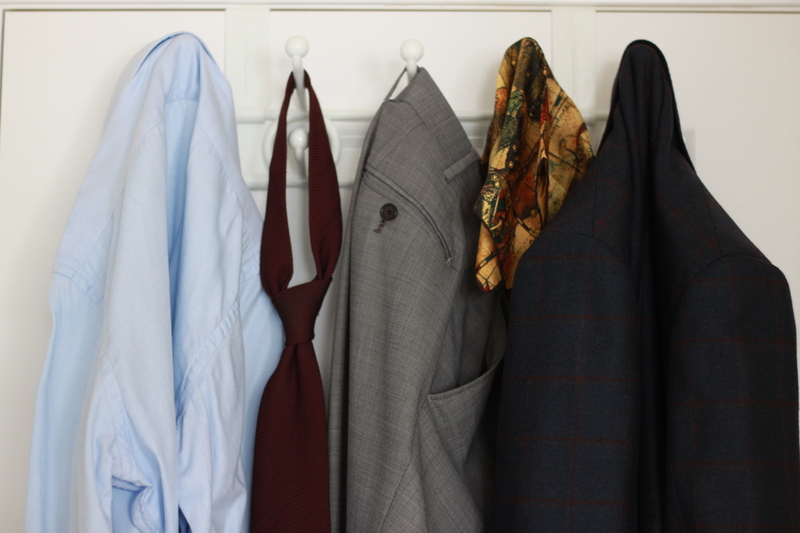 The majority of pieces in my wardrobe are made up of textured solids – jackets, trousers, ties. The odd time I’ll pull a pair of patterned trousers away from one of my suits to use for some added visual interest or weight to the lower block of the outfit. Once I have the jacket and trousers selected the shirt is the next piece. This further defines my image of contrast and colours to be used in the remaining pieces. Depending on the contrast between the top and bottom halves, the shirt will balance it out based on saturation or pattern. I’ve recently expanded my shirt selection to include some semi-spread collars, where my standard is a full spread design with slightly extended points (custom from Spier & Mackay). With the base pieces set, I’ll have a look at my tie collection. I have to decide if I’m going to commit to a high or low contrast look, adjacent or complimentary colours, and the overall textural balance. The last piece is the pocket square. I try to find something that fits tonally with all the other pieces, and will select it based on finding a minor colour in the pocket square that is similar to the tie. If possible, there should be a complimentary relationship to other parts of the outfit. Sometimes the pocket square might serve as more of a contrast to the tie, and play more heavily on colour relationships with the shirt or jacket. The idea I have for the pocket square is that it should add some visual interest to the overall fit, but shouldn’t be a standout piece on its own. If I have time on the weekend, I try to sketch out what I plan to wear during the week. This helps make the mornings that much easier. I much prefer when I have the time to think it over. I’m more consistently able to come up with a cohesive look. This has been a great resource. Writing all this out, it may seem a bit neurotic. However, I enjoy taking the time to study and reflect on what I’m going to wear. Presenting yourself in a well put together way allows you to manage perceptions. More importantly, my confidence is bolstered if I am wearing something I took time to process. There have been studies on this topic that you can Google if you’re interested. While learning about what defines a “well put together outfit” for you (and me) will cause some increases and decreases in confidence, generally speaking I have found this to be true. Now, this process goes out the window if I have recently purchased a new article of clothing. Then, I’ll do my best to build an outfit around that. 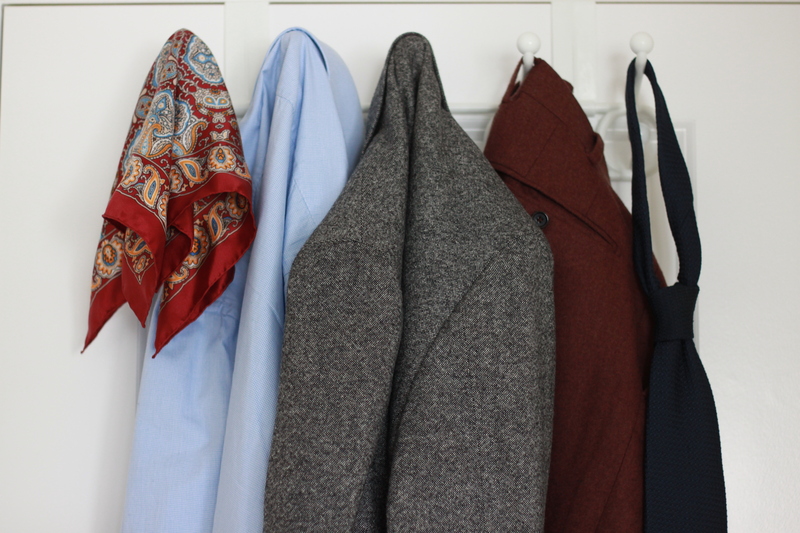 Before buying anything, I try to visualize how it will interact with the rest of my closet. So I usually have a couple of ideas I’ll lay out and go from there. How do you put together an outfit?